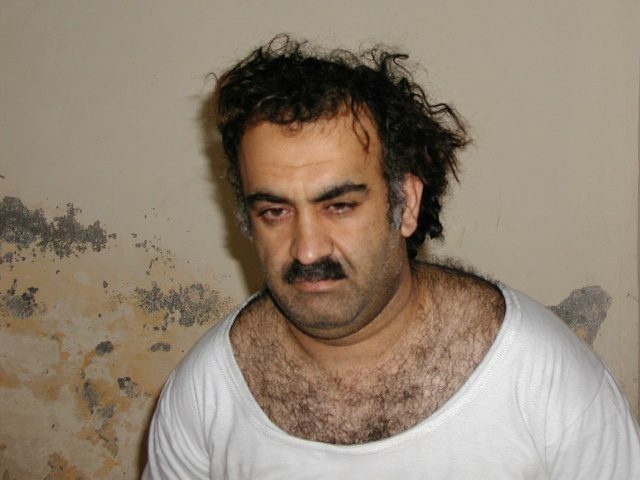 Khalid Sheikh Mohammed (KSM) – the mastermind who designed the horrific 9/11 terror attacks for Osama bin Laden – still has not been punished for the wartime deaths of 3,000 Americans, after Barack Obama and Eric Holder’s decision to throw out his guilty plea, stemming in part from a 2008 Supreme Court decision. KSM was captured in 2003. He pleaded guilty to having designed the largest terrorist attack on American soil, resulting in a 17-year war that is ongoing. He also pleaded guilty to cutting off the head of an American journalist, Daniel Pearl, and admitted other heinous acts as well. He was set for trial in a U.S. court in 2009, until Obama and Holder decided to drop his guilty pleas to these death penalty crimes and put him back into a military commission system to be tried for his crimes. Almost a decade later, the trial still has not started. All this stemmed from a 5-4 Supreme Court decision that some consider the worst national security decision ever issued by the nation’s highest court, Boumediene v. Bush. Perhaps with Judge Brett Kavanaugh, that case could finally be overruled. Pursuant to anti-terror laws passed by Congress, President George W. Bush ordered the U.S. military to detain terrorists captured on the battlefields of Afghanistan in Guantanamo Bay, Cuba, because “Gitmo” is on foreign soil, so habeas corpus would not reach there. The writ of habeas corpus is a procedural right, by which someone held by the government can petition a federal court for relief, a court which will then determine if the detention is legal. The problems with such an approach to military matters are manifest. The U.S. justice system has extremely restrictive rules of evidence and criminal procedure. Every defendant is presumed guilty and convicted only if a unanimous jury finds that the government has proven every element of the alleged crimes beyond any reasonable doubt. The system is designed on the premise that it is better for 100 guilty criminals to escape punishment than for a single innocent person to be condemned. A nation cannot win a war that way. 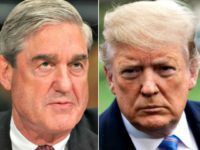 Soldiers cannot collect evidence on a battlefield, and most witnesses will either be dead, hiding in a foreign country, or unwilling to cooperate with law enforcement. Boumediene was the latest decision by the Supreme Court, after several previous systems had been ruled illegal by the liberal members on the Court, joined by the moderate justices. Following those decisions, Congress passed a new law authorizing ongoing detention, suspending habeas corpus (as permitted by the Suspension Clause of the Constitution), and stripping most federal courts of jurisdiction to hear legal challenges. The 5-4 Boumediene decision was written by Justice Anthony Kennedy, whom Kavanaugh will now replace. Kennedy wrote for the majority that habeas corpus extends to foreign soil like Guantanamo Bay because of the longstanding U.S. presence there, that federal courts have jurisdiction even though Congress’s law says they do not, that Congress’s suspending habeas corpus will be essentially ignored, and then ruled the then-current system of holding and processing the terrorist enemy combatants to be illegal. All four conservative justices dissented. Chief Justice John Roberts wrote the first dissent, joined by Justices Antonin Scalia, Clarence Thomas, and Samuel Alito. Today the Court strikes down as inadequate the most generous set of procedural protections ever afforded aliens detained by this country as enemy combatants. The political branches crafted these procedures amidst an ongoing military conflict, after much careful investigation and thorough debate. The Court rejects them today out of hand, without bothering to say what due process rights the detainees possess, without explaining how the statute fails to vindicate those rights … One cannot help but think, after surveying the modest practical results of the majority’s ambitious opinion, that this decision is not really about the detainees at all, but about control of federal policy regarding enemy combatants. Habeas is most fundamentally a procedural right, a mechanism for contesting the legality of executive detention. The critical threshold question in these cases, prior to any inquiry about the writ’s scope, is whether the system the political branches designed protects whatever rights the detainees may possess. If so, there is no need for any additional process, whether called “habeas” or something else. How the detainees’ claims will be decided now that the DTA is gone is anybody’s guess. But the habeas process the Court mandates will most likely end up looking a lot like the DTA system it replaces, as the district court judges shaping it will have to reconcile review of the prisoners’ detention with the undoubted need to protect the American people from the terrorist threat—precisely the challenge Congress undertook in drafting the DTA. All that today’s opinion has done is shift responsibility for those sensitive foreign policy and national security decisions from the elected branches to the Federal Judiciary. I believe the system the political branches constructed adequately protects any constitutional rights aliens captured abroad and detained as enemy combatants may enjoy. I therefore would dismiss these cases on that ground. With all respect for the contrary views of the majority, I must dissent. So who has won? Not the detainees. The Court’s analysis leaves them with only the prospect of further litigation to determine the content of their new habeas right, followed by further litigation to resolve their particular cases, followed by further litigation before the D. C. Circuit—where they could have started had they invoked the DTA procedure. Not Congress, whose attempt to “determine— through democratic means—how best” to balance the security of the American people with the detainees’ liberty interests has been unceremoniously brushed aside. Not the Great Writ, whose majesty is hardly enhanced by its extension to a jurisdictionally quirky outpost, with no tangible benefit to anyone. Not the rule of law, unless by that is meant the rule of lawyers, who will now arguably have a greater role than military and intelligence officials in shaping policy for alien enemy combatants. And certainly not the American people, who today lose a bit more control over the conduct of this Nation’s foreign policy to unelected, politically unaccountable judges. Today, for the first time in our Nation’s history, the Court confers a constitutional right to habeas corpus on alien enemies detained abroad by our military forces in the course of an ongoing war… My problem with today’s opinion is more fundamental still: The writ of habeas corpus does not, and never has, run in favor of aliens abroad; the Suspension Clause thus has no application, and the Court’s intervention in this military matter is entirely ultra vires [i.e., beyond the Court’s legal authority]. America is at war with radical Islamists. The enemy began by killing Americans and American allies abroad: 241 at the Marine barracks in Lebanon, 19 at the Khobar Towers in Dhahran, 224 at our embassies in Dar es Salaam and Nairobi, and 17 on the USS Cole in Yemen. On September 11, 2001, the enemy brought the battle to American soil, killing 2,749 at the Twin Towers in New York City, 184 at the Pentagon in Washington, D. C., and 40 in Pennsylvania. It has threatened further attacks against our homeland; one need only walk about buttressed and barricaded Washington, or board a plane anywhere in the country, to know that the threat is a serious one. Our Armed Forces are now in the field against the enemy, in Afghanistan and Iraq. Last week, 13 of our countrymen in arms were killed. In the short term, however, the decision is devastating. At least 30 of those prisoners hitherto released from Guantanamo Bay have returned to the battlefield. Turns out they were just kidding. For in response, Congress, at the President’s request, quickly enacted the Military Commissions Act, emphatically reasserting that it did not want these prisoners filing habeas petitions. It is therefore clear that Congress and the Executive—both political branches—have determined that limiting the role of civilian courts in adjudicating whether prisoners captured abroad are properly detained is important to success in the war that some 190,000 of our men and women are now fighting. But it does not matter. The Court today decrees that no good reason to accept the judgment of the other two branches is “apparent.” “The Government,” it declares, “presents no credible arguments that the military mission at Guantanamo would be compromised if habeas corpus courts had jurisdiction to hear the detainees’ claims.” What competence does the Court have to second­guess the judgment of Congress and the President on such a point? None whatever. But the Court blunders in nonetheless. Henceforth, as today’s opinion makes unnervingly clear, how to handle enemy prisoners in this war will ultimately lie with the branch that knows least about the national security concerns that the subject entails. Today the Court warps our Constitution … invoking judicially brainstormed separation-of­powers principles to establish a manipulable “functional” test for the extraterritorial reach of habeas corpus (and, no doubt, for the extraterritorial reach of other constitutional protections as well). It blatantly misdescribes important precedents… It breaks a chain of precedent as old as the common law that prohibits judicial inquiry into detentions of aliens abroad absent statutory authorization. And, most tragically, it sets our military commanders the impossible task of proving to a civilian court, under whatever standards this Court devises in the future, that evidence supports the confinement of each and every enemy prisoner. The Nation will live to regret what the Court has done today. I dissent.